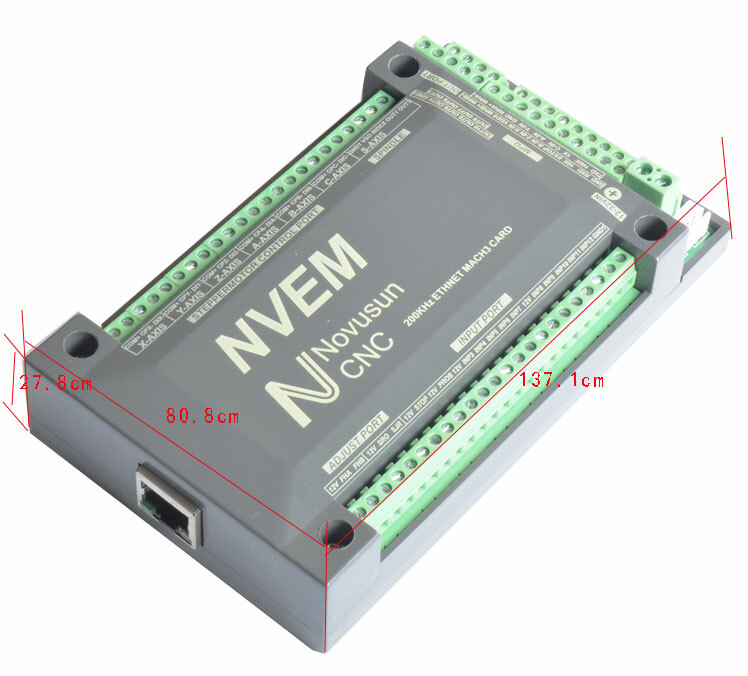 3/4/5/6 axis Ethernet MACH3 motion controller, which we spend 4 years to design. It can work with Mach3 and standard MPG. It can communicate with computer through Ethernet, just need to use the Twine to connect directly or transfer with router. This control card adopts the ARM design framework. The ARM design includes communication, code analytic, underlying algorithm and pulse generation. It is rational design, reliable control and convenient operation. - Can control up to 3/4/5/6 stepper motor at the same time. - Support Motor: Servo motor, Stepper motor. - With 12 channel programmable input port. - With 10 channel programmable output port. This USB motion control card has the below advantages: small volume, easy to use, has a strong anti-..
6 Axis Digital LCD Mach3 Manual Control Box Handle Serial Interface Aluminum Package Contents1 ..
300KHz 3 4 5 6 Axis MACH3 USB motion control card CNC Standard Board M3 M4 M5 M6 For CNC Lathe CNC R..